Welcome to our monthly blog post on the performance of our P2P lending recoveries. 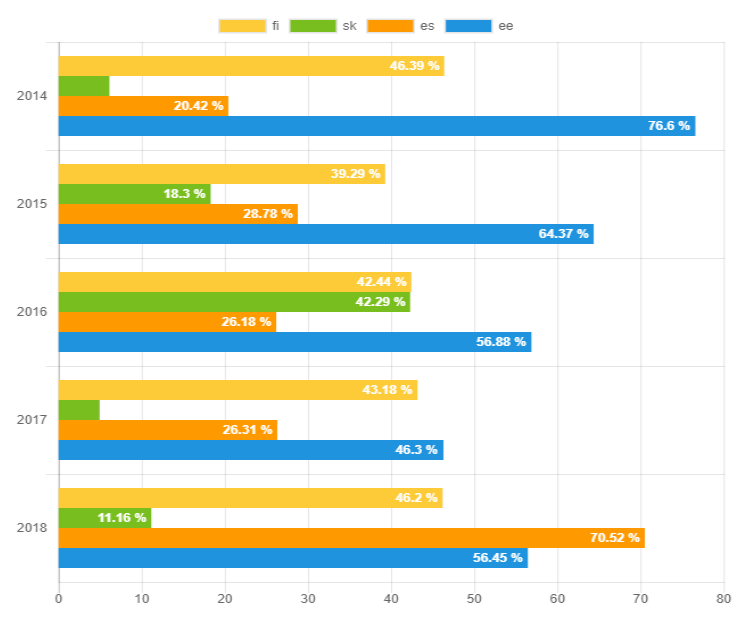 Below, we take a look at the percentage of principal and interest retrieved between 2014 – 2018. 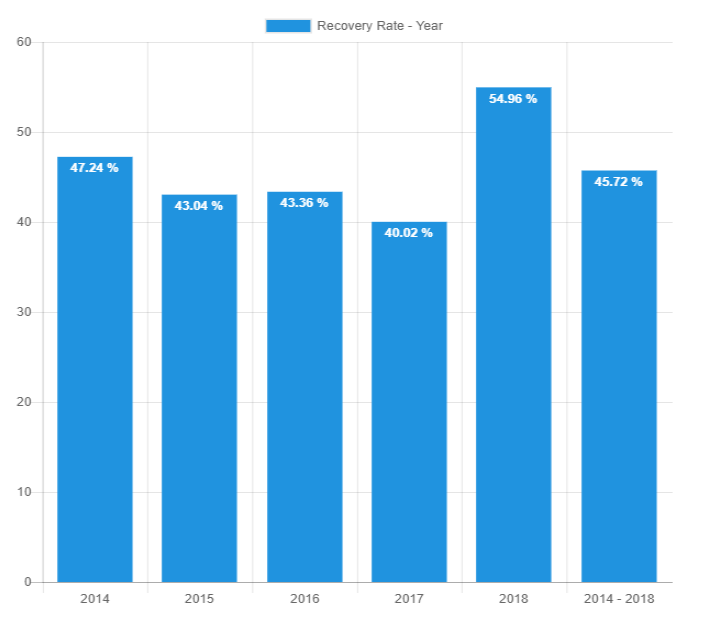 At first glance, this may appear to show that the success of our recoveries process has slightly decreased since 2014. However, it is important to note that the latest year will almost always show the lowest recovery rate. Quite simply, this is because the P2P loan is moving through our 3-step collection process and is not yet generating a cash flow or has only recently started generating a cash flow. A total of €7,495,717 was recovered between 2014 – 2017, an increase of 3.3% since last month. When including the 2018 figures, a total of €8,215,111 has been recovered. In 2017, the largest amount of cash recovered was in Estonia with a total amount of €878,169, an increase of 7.6% on the absolute amount since last month. Thanks to the large increase in recoveries in Estonia, it’s ahead of Finland (43.8%, €550,577), now with the highest rate of recovery in 2017 (46.6%). It’s important to remember that these statistics will continue to change over the coming months, we explain why in the next section. Historically, recovery rates have always been the highest in Estonia. Take 2014 as an example – the rate for this period is 76.7% and a huge €882,707 recovered. Looking backward from 2017, you can see the rate of recovery increase over each year in Estonia as more time is allowed for the cash flow to come in. For 2018, recoveries in Spain stand at 71% – although the total amount originated in Spain this year has been much lower compared to last year. In comparison, the figure stands at 57.5% in Estonia and an absolute amount of €404,367. After a month or a year ends, investors still receive a cash flow from this period when the P2P loans were issued. For example, we may still receive a monthly cash flow from a loan that defaulted in 2014. Due to this, the data is consistently being collected and updated to reflect the changes. Take a look at our 3-step collection and recovery process which explains exactly what happens when a borrower misses their monthly P2P loan repayment.